Working for this publication for the past several months has allowed me to be a part of so many exciting things going on in our area. Someone recently read my last column and said, “Wow, you are really living life!” Well, I couldn’t agree more, and the subject of this particular story is a great example. First let me say that I am a Broadway junkie. I could go to New York City and see shows all day everyday for a week, especially the musicals, and never get tired of it. The back of my “I heart New York” t-shirt should say “Thanks to Broadway!” Therefore, on July 11th, I had one of the coolest experiences I’ve ever had. 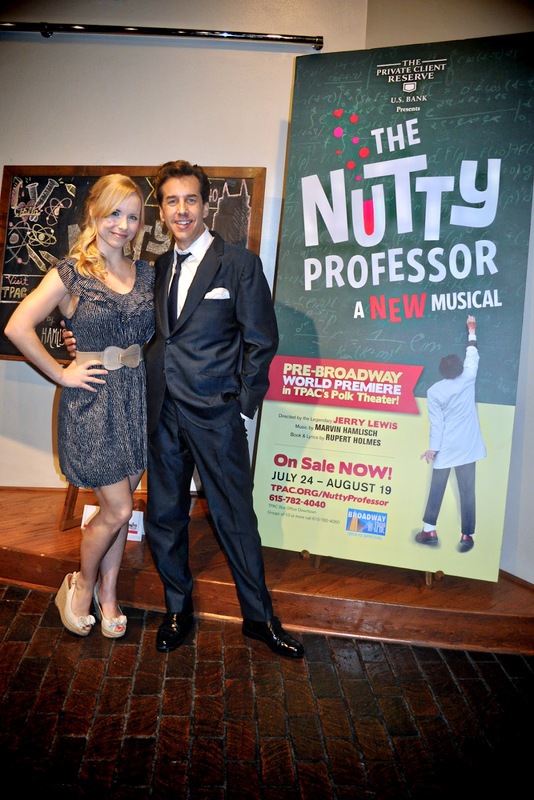 I was invited to the Media Day for The Nutty Professor at the Tennessee Performing Arts Center (TPAC). If you don’t know what’s going on, let me get you up to speed. “The King of Comedy” Jerry Lewis is directing the new musical “The Nutty Professor” based on his 1963 hit movie. Before a show hits Broadway, it has to be previewed somewhere else to determine if it’s worthy and to test it out in front of an audience. The TPAC is one of the few facilities in the country that can provide all that is needed to create a Broadway musical from the ground up. Collaborating with the now late Marvin Hamlisch (A Chorus Line), winner of Oscar, Emmy, Tony and Grammy Awards, and the Pulitzer Prize, for the music and three-time Tony Award winner Rupert Holmes (The Mystery of Edwin Drood) for the book and lyrics, Lewis is very hopeful that the musical will open on Broadway next year. When I arrived at the TPAC for media day, I was still in disbelief that I got to be a part of something so spectacular. It was very surreal, and I kept telling myself to soak all of it in and not take one moment for granted. It all started with a press conference with Jerry Lewis (Director), Rupert Holmes (Book and Lyrics), Michael Andrew (Professor Julius Kelp/Buddy Love), Marissa McGowan (Stella Purdy), JoAnn Hunter (Choreographer) and Ray Roderick (Assistant Director). I really didn’t know what to expect from Mr. Lewis. When I found out he was directing at 86 years old, I was a bit shocked. However, he was still as funny as ever and definitely on his game. When asked, “Why Nashville?” Lewis responded by saying, “Nobody else would take us!” After we all had a good laugh he went on to explain that Nashville is a hot bed for theater. People here are “theatergoers”, and this is the type of audience needed. He said, “Nashville itself sounds theatrical.” He was so passionate about the musical and said that the cast has more talent than anyone he has ever seen. For someone that has been performing for over 79 years, that was quite a bold statement, but he stands by his word, especially concerning Michael Andrew. Andrew says that playing the part of Julius and Buddy has been a dream of his since he saw the movie for the first time at nine years old. He was really into magic and thought that Lewis’ ability to change from Julius to Buddy was the best magic trick he had ever witnessed. From that day on, he wanted to be an actor and, more specifically, play that role. Lewis says that the name Michael Andrew will spread like wildfire after the first show. After getting to see the set, another part of the Media Day was attending a rehearsal. This was definitely the best part. The rehearsal room was a lot smaller than I thought it would be, which made it even better. The actors were literally a few feet in front of me, and Mr. Lewis was just a few feet to my right. The rehearsal was amazing. 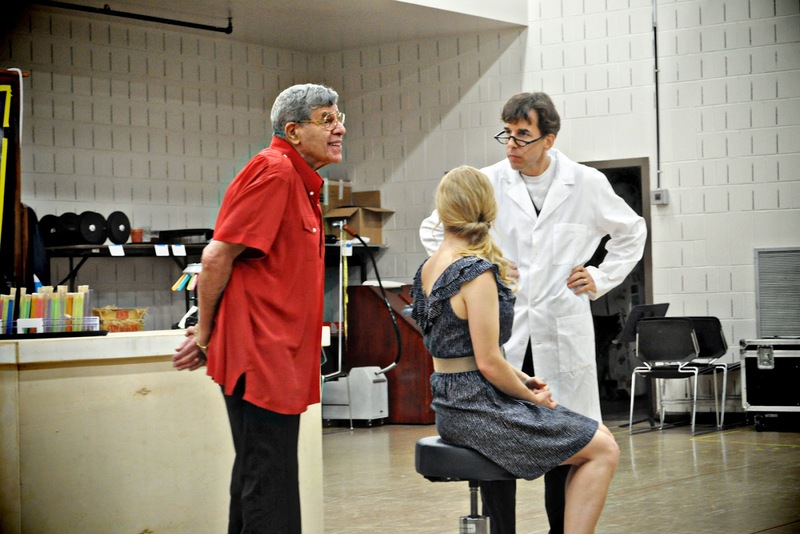 The performances were definitely all that had been described and watching Jerry Lewis direct was unbelievable. I was astonished at Michael Andrew’s ability to portray two completely different people with seconds between one character to the other, and Marissa McGowan’s voice was flawless. The only bad part about it was not getting to see the whole thing! Opening night finally came, and I have never been so excited to see a performance. I was already so invested in the actors and all that had happened to make the show possible so seeing it come to life was incredible. 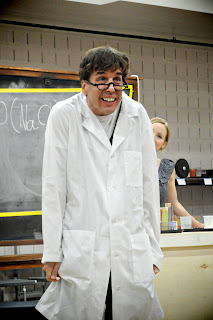 Jerry Lewis was spot on about Michael Andrew, and Marissa McGowan’s voice was again, flawless. I even got to tell her that in person at the cast party! 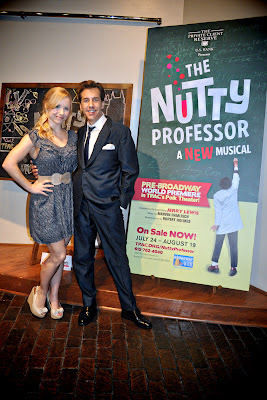 It was all such a great experience, and I am very hopeful that the show will make it to Broadway. I will definitely be on a plane to NYC to see it again, except this time my t-shirt will say, “I’m from Nashville, where it all began!”.